Count and classify with these durable, soft rubber counters. 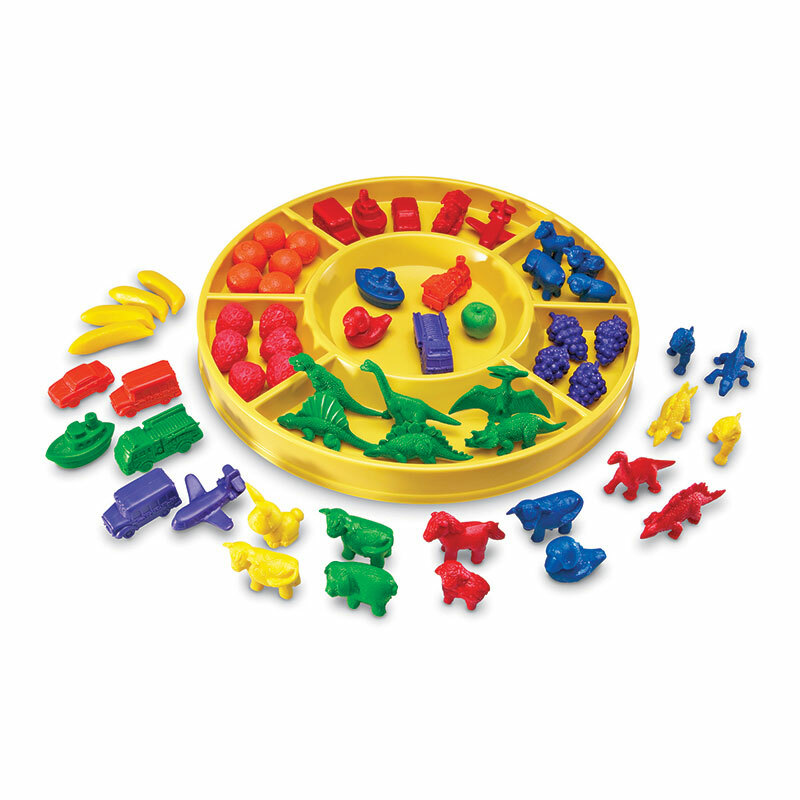 Includes: 48 Mini Dino Counters, 36 Fruity Fun™ Counters, 36 Mini Motors® Counters, 48 Friendly Farm® Animal Counters - in 2 sizes, Sorting tray sold separately (LER 0196). Grades: PreK+. Common Core State Standards Alignment: Operations & Algebraic Thinking, Counting & Cardinality, Measurement & Data. Learning Styles: Tactile, Visual. Skill Development: Math - Use the Beginning Sorting Set to practice counting, sorting, and grouping. Start by sorting by color. Then try grouping by object (fruits, vehicles, dinosaurs, animals) or introduce AB patterning by lining the objects up creating patterns by object or color. Organization - Create fun activities and games like placing five counters in a row. Have the student study the row and close his or her eyes. Then take a counter away and have the student identify the missing one. This helps students think methodically, organize thoughts, remember, and recall.